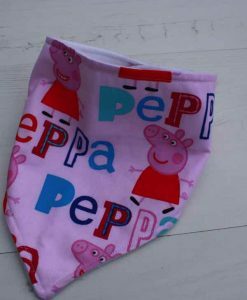 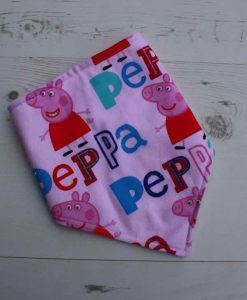 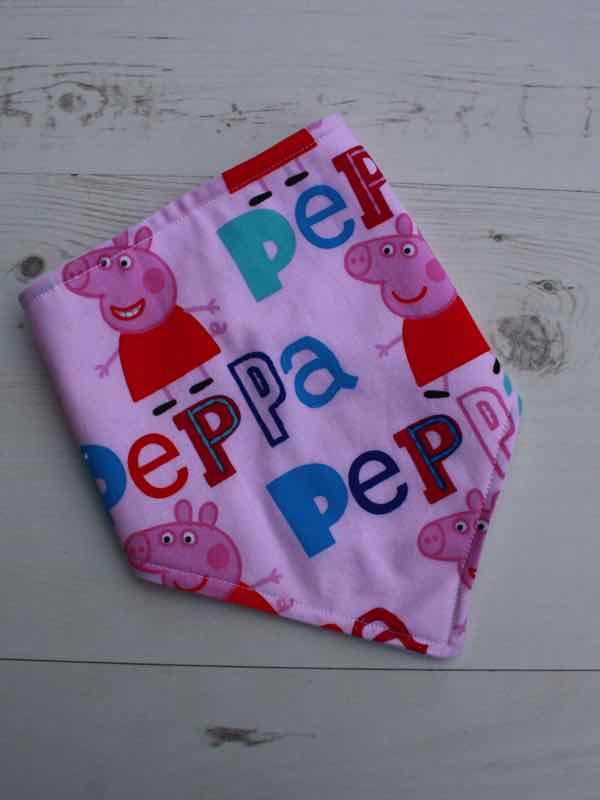 Handmade dribble baby bib in Peppa Pig design cotton fabric. 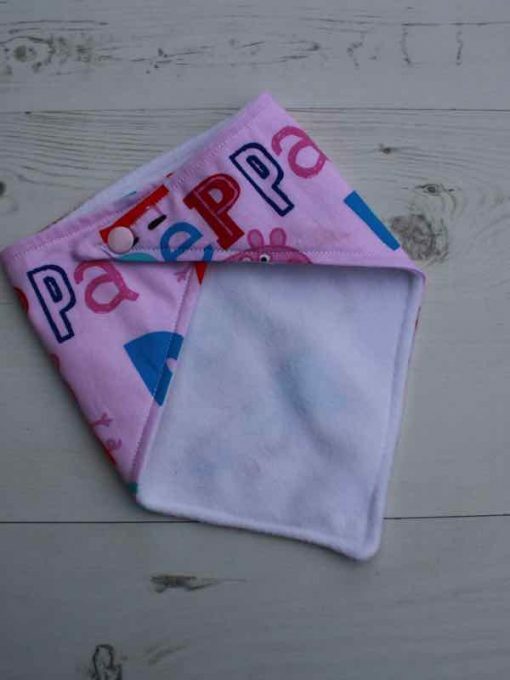 The white microfleece is soft and absorbent. If an item is defective, such as a pad with a broken snap, we will happily replace it. 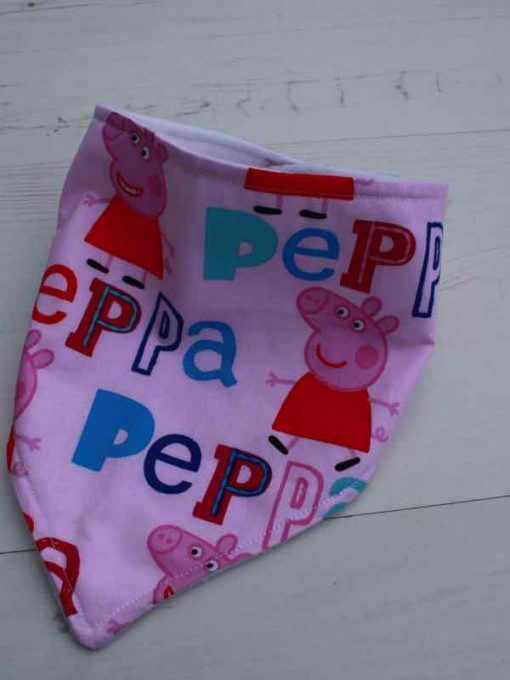 Just send us an email on ma[email protected] describing the problem. 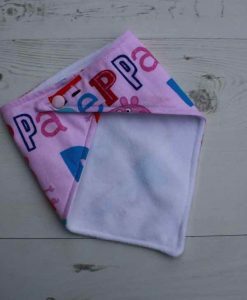 If easier you can message us on +44 (0) 7577 035452.